Membership in BPW is open to all women and men who share our mission. Annual dues are $120.00 per year, which includes membership in BPW/Florida and BPW Foundation. 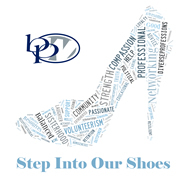 For more information, contact Membership@BPWStPetePinellas.org. What Can BPW Do For You? Network professionally, share contacts and exchange information to enhance your business, through local programs as well as state conferences. Attend workshops and programs designed to enhance professional skills and leadership abilities. Participate in a wide range of legislative and community activities to heighten awareness of issues affecting working women at local, state and national levels. Receive news on current issues, up-to-date information on legislation and BPW activities. Assist local women through scholarships to further their formal education.